The SPACE DRONE™ spacecraft is a 400-kilogram spacecraft (1m x 1m x 1.25m) that has a universal, non-intrusive docking system to rendezvous and dock to the geostationary host satellite. The SPACE DRONE™ spacecraft then uses electric propulsion to take over the station-keeping and attitude-control maneuvers of the joint stack. Missions include station-keeping, relocation, deorbiting, orbit correction, inclination correction and ‘bringing into use’ (BIU). 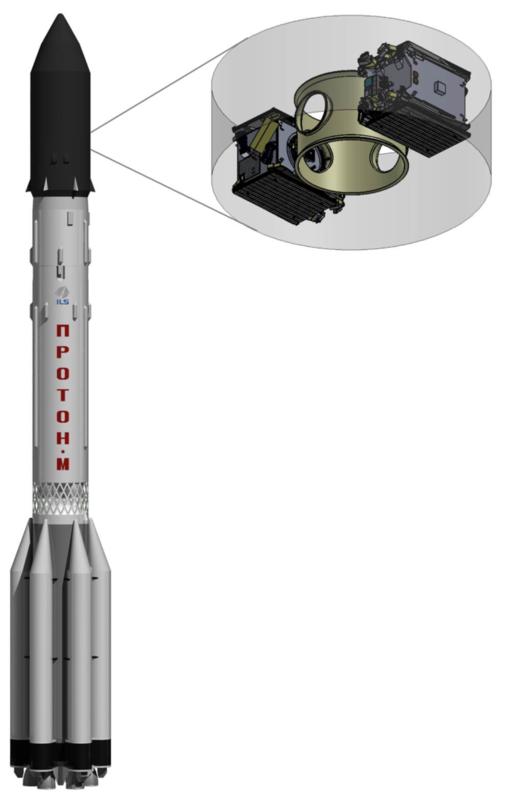 The ILS Proton Breeze M launch will be the first deployment of Effective Space’s SPACE DRONE™ spacecraft in 2020. Planned fleet expansion will see up to six (6) SPACE DRONE™ spacecraft being sent to orbit on an annual basis. Future phases will see SPACE DRONE™ spacecraft being launched to support low Earth orbit (LEO) constellations, Active-Debris-Removal (ADR) and other logistics in space. “Launching our first two SPACE DRONE™ spacecraft into a geostationary orbit is part of our strong commitment to our first customer, meeting mission timeline and ensuring smooth transition into a life-extension service,” said Arie Halsband, founder and CEO of Effective Space. Effective Space is pioneering last-mile logistics in space. It deploys and operates a fleet of small SPACE DRONE™ spacecraft that will deliver, position, maintain, monitor and guarantee space assets in orbit and beyond. Its ‘Phase One’ rollout is based on an existing solid business case: life-extension services to operators of satellites in geosynchronous-earth-orbit (GEO). Services include station-keeping and attitude-control, relocation, orbit and inclination correction, deorbiting and ‘bringing into use’ (BIU). The SPACE DRONE™ platform is well capable of supporting evolving low-earth (LEO) constellations, as well as active-debris removal (ADR) missions. Long-term services will also support asteroid-mining, deep space exploration and space manufacturing logistics. Effective Space is headquartered in the UK. For more information, visit http://effective.space.